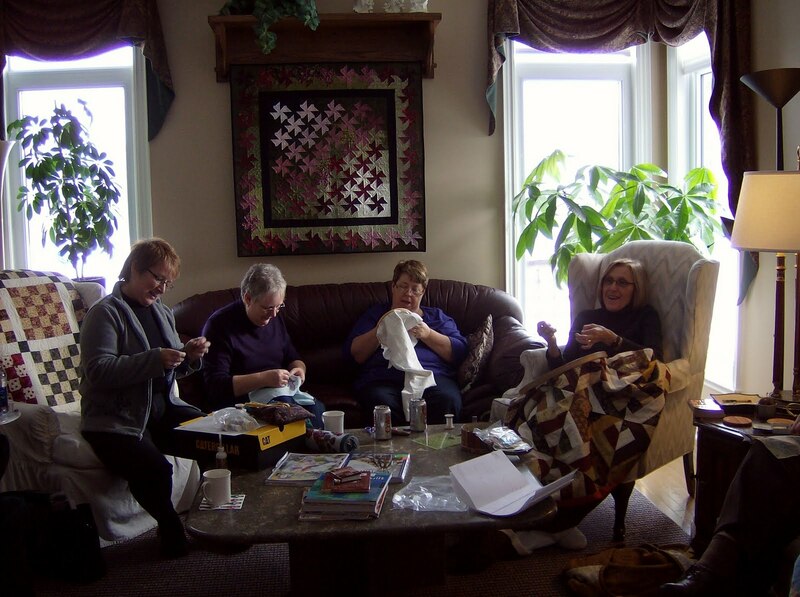 Once in awhile some of my quilting friends get to-gether and have a good old fashioned quilting bee. 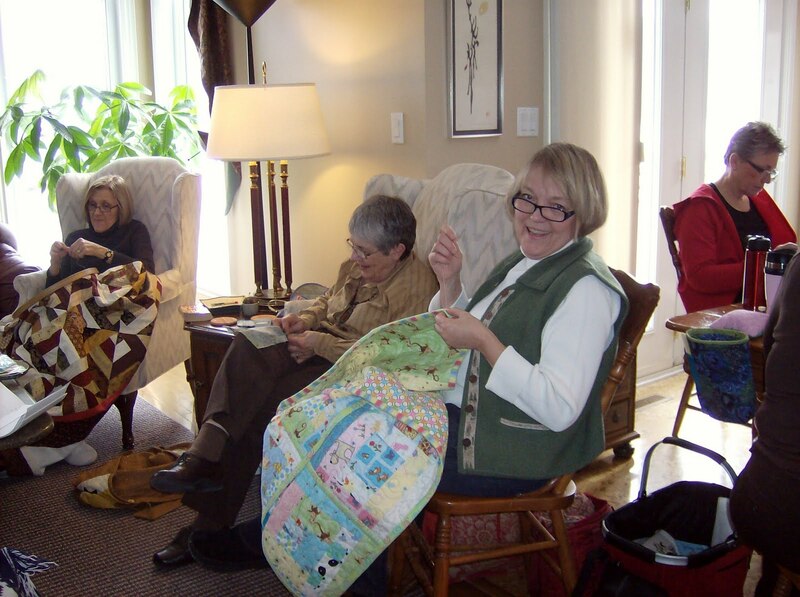 We just bring something to quilt and have a wonderful time exchanging stories and ideas and just generally enjoy the friendship. We enjoyed a wonderful pot luck luncheon. Sorry I guess I got caught up in that moment and forgot to take pictures of the tasty dishes we had.. 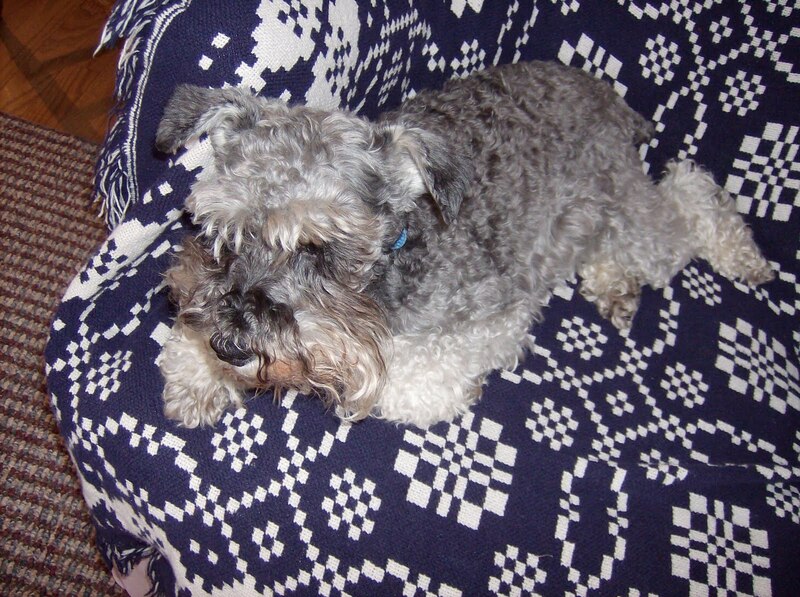 The wee dog in the blue covered chair is "Cricket" a miniature Schnauzer. What a character, once everyone arrived she settled down and spent the day searching for crumbs or napping! Glad you had a lovely satisfying sewing day! Love that wee doggie!We have a neighbour who has one.It's a Darling. Sounds like a fun day for sure. I love the wall quilt in the background of the top photo. Did you make that yourself? 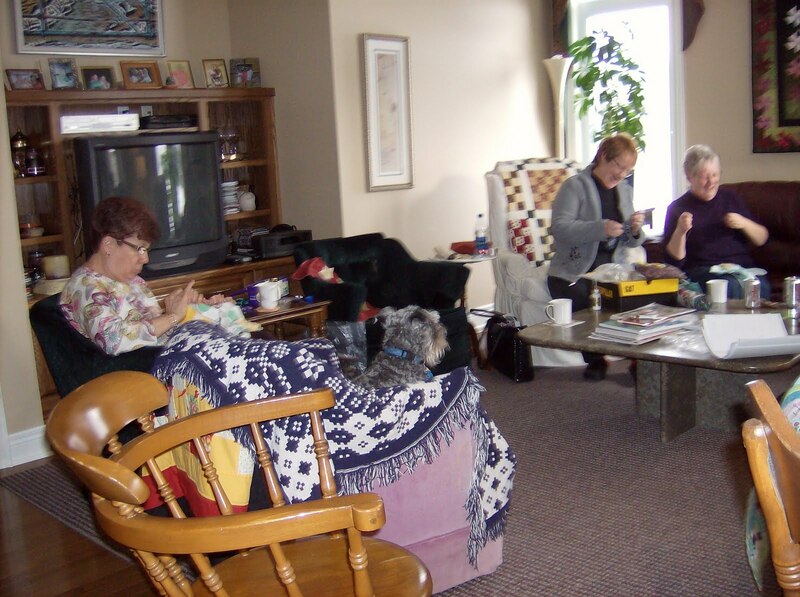 It's always nice to sew with friends! Looks like a great activity for a winter's day! Cute doggy. 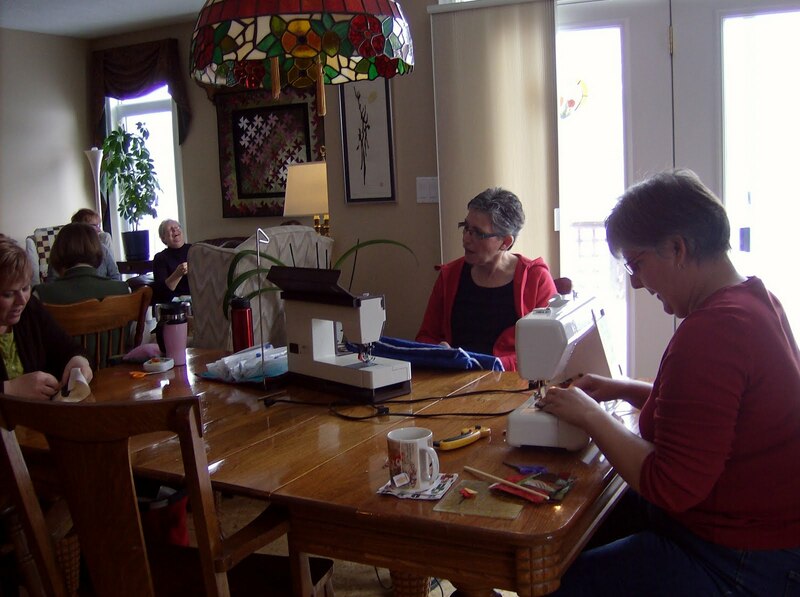 I've always wanted to participate in an old fashioned sewing bee! How fun! I'm glad you came by my blog and entered my OWOH giveaway, so I could come by and meet you too. I hope you enjoy the rest of the event!